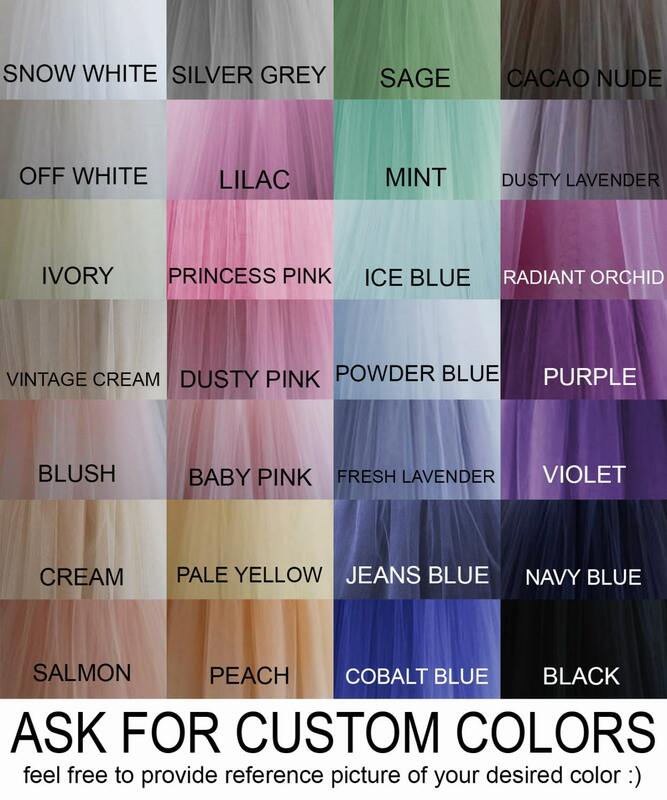 * 5 layers of soft bridal hand dyed tulle, each double in width (tulle consumption = 10 regular 108" wide layers). This is done to ensure the maximum puffiness and at the right spot - the bottom! * Lined with complimentary color lining. * Shiny, polyester satin waistband, 1" or 2,5cm waistband by default. * Closure: completely hidden zipper and one pearly button. Can be made with hidden buttons as well. 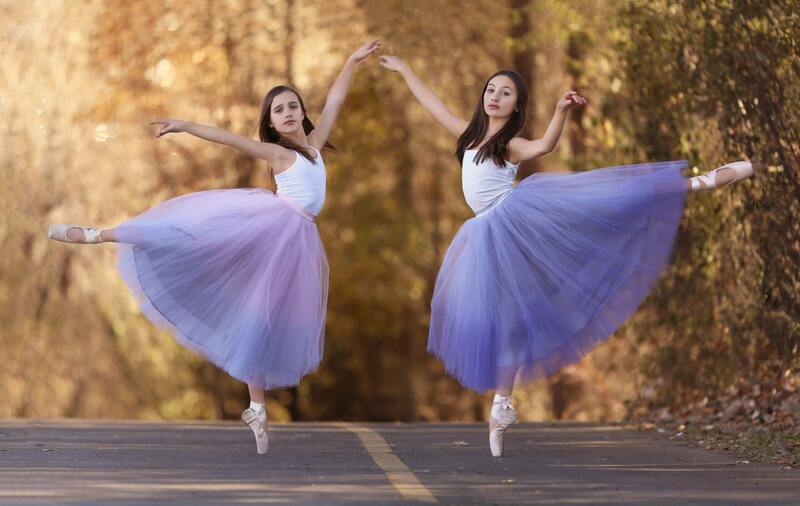 * Shown skirts are a Blush to Silver Grey and Fresh Lavender to Violet. We hand dye these skirts so feel free to ask for any dual color gradient, just keep in mind that deep bold colors are usually not an option, for example it's impossible to make a black dip. You can also choose how many inches of one and another color you would like. Solid single color skirts are also an option. 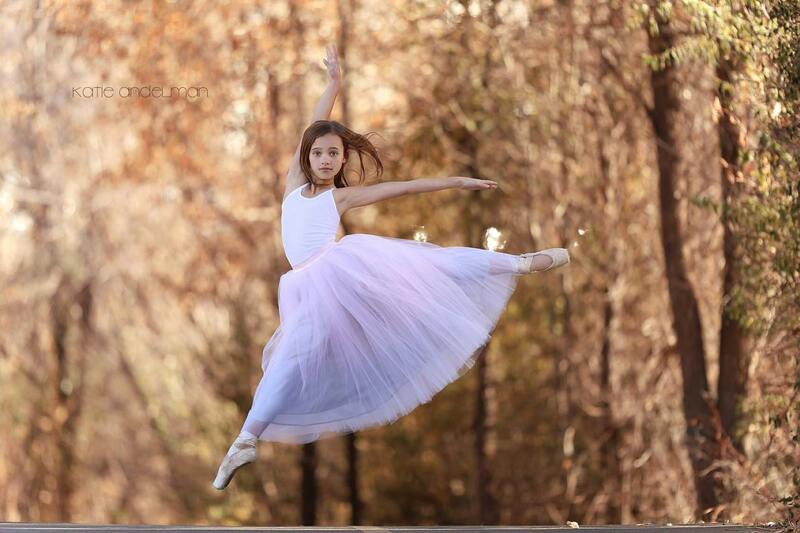 Pictures of ballerinas are taken by the talented Katie Andelman Garner. I've ordered this skirt a bit last minute for my sister's wedding and I was more than satisfied with the result. It was a pleasure to wear this very precisely done piece. 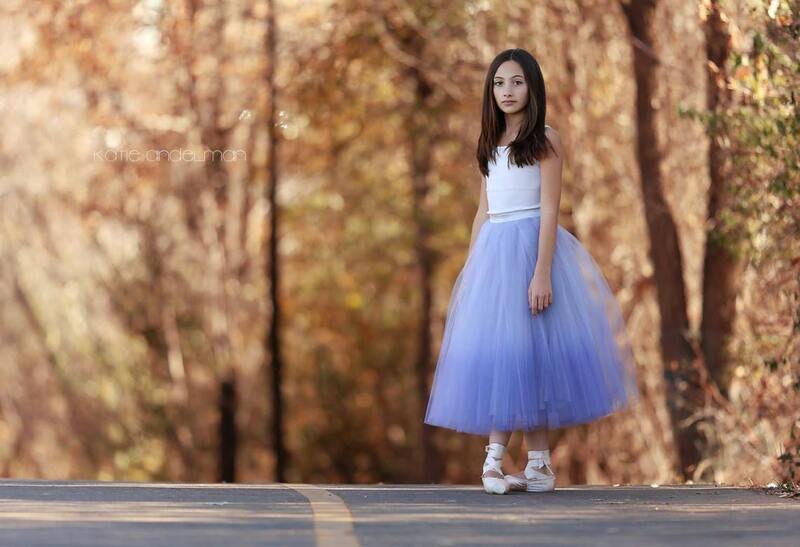 I felt comfortable, elegant and it was fun to dance in it. I find it very chic and positively kitschy at the same time. Inge was flexible to meet my deadline and I've recieved my item even earlier. Many thanks for this special piece!